Torque Wrenches have many everyday uses from fitting and removing wheels, assembling plant and equipment, maintenance of machinery and tightening the bolts in bridges and structures etc. All varied applications but all have the same critical reliance on bolt tension to ensure the perfect joint. When used in an industrial environment however the tool can be subject to heavy duty use and large numbers of torque cycles which take its toll on the internal mechanism of the torque tool. The wear on the internal spring and torque mechanism over multiple cycles has an affect on the performance of the tool and affects the accuracy and repeatability of the torque output. 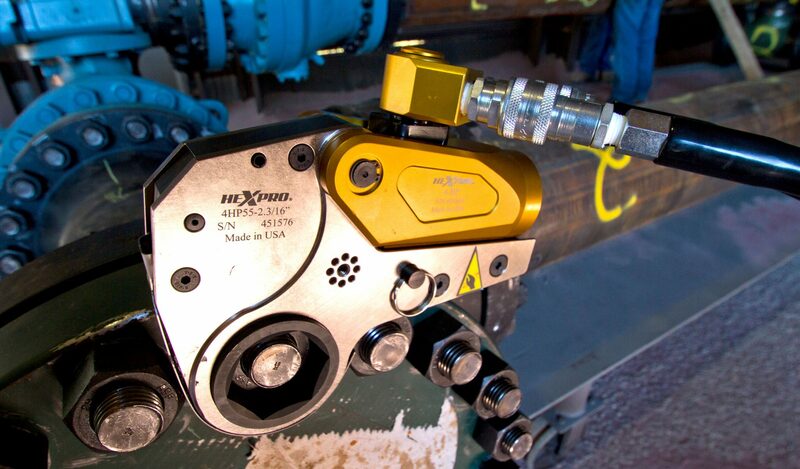 In harsh environments such as coal mines, agricultural applications and water processing plants the tools are also exposed to dirt and moisture which can lead to corrosion both internally and externally degrading the tool and affecting accuracy and performance. Regular maintenance of your torque wrench is essential to not only guarantee the torque accuracy of the nuts and bolts that you are fastening but also maximize the life span of your torque equipment. Always remove dirt and moisture using a clean and dry cloth before storage after each use to prevent possible corrosion. Always unload the torque mechanism by winding the wrench back to its minimum torque setting prior to storage. This will relax the mechanism inside the wrench ensuring maximum life and torque accuracy. After returning to its case always store in a clean and dry place or toolbox. Your torque wrench is a calibrated precision piece of equipment and should be treated as such. The ISO 6789 Standard for torque tools states that it should be calibrated every 12 months or 5000 cycles, whichever is sooner. Calibration should only be carried out by an authorized and accredited service center that can re-calibrate and certify your tool to International Standards. Never use your tool if there is evidence of damage or broken parts, in this instance visit your nearest service center to repair and replace the component of your torque wrench and re-certify it for you. Leaders of Torque Technology and No. 1 Torque Control Specialist in Australia and Asia Pacific.